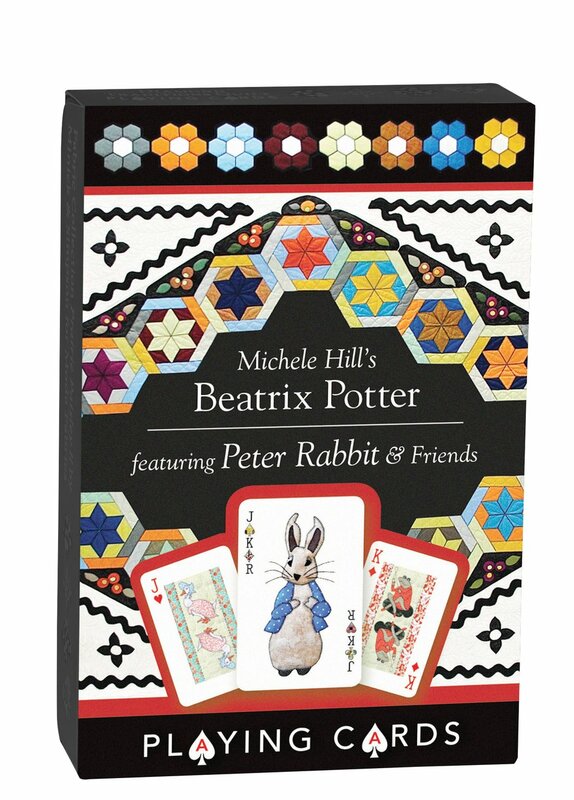 The mischievous Peter Rabbit and friends spring to life in an imaginative deck of playing cards. Inspired by the work of Beatrix Potter, Michele Hill's charming quilts feature cameos from the bunny family, Mr. Jeremy Fisher, Jemima Puddle-Duck, and Mrs. Tiggy-Winkle. Stitched in exquisite detail, these popular storybook-character playing cards make a great gift for quilters and crafters, but will be loved by all!